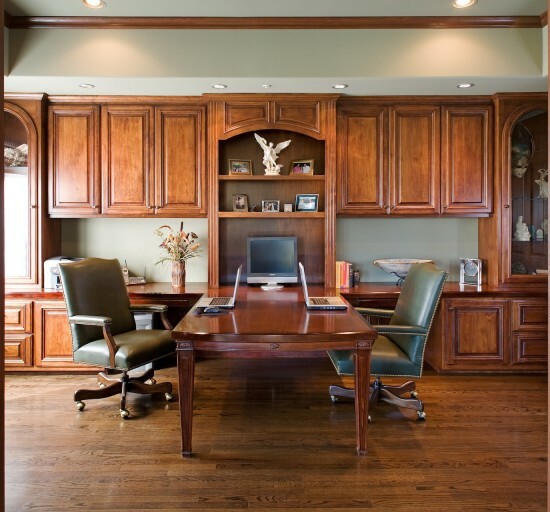 A couple’s home office design features a partners desk designed by Jim Walters, fully equipped with at-home work necessities. Separate display cabinets with shelves accommodate personal mementos and travel souvenirs. 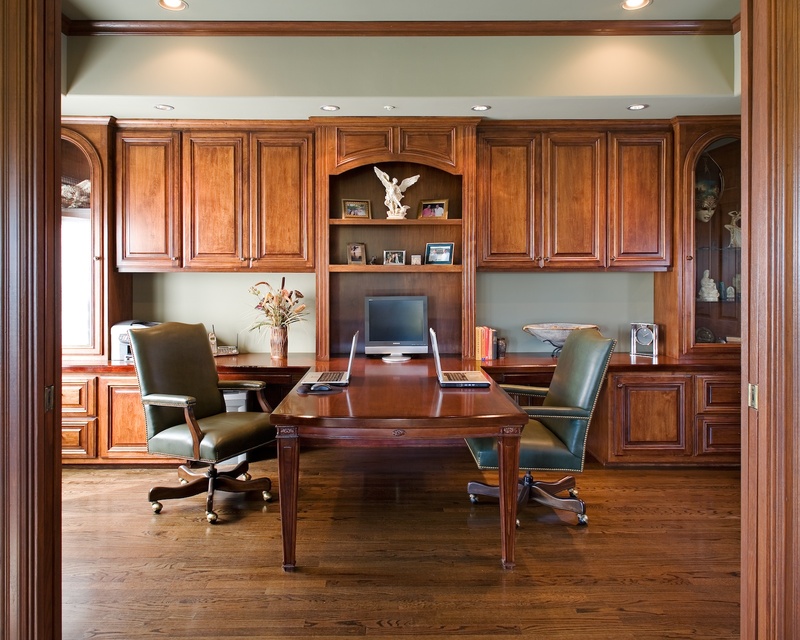 "Overlooking the living area, the office loft features custom cabinetry in an eco-friendly composite veneer."